And the stories behind them are even more numerous than the aprons themselves! 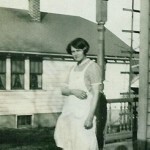 I’ve told stories of aprons of my grandmothers and aprons made by my cousins. I’ve shown you pictures of my little girls in aprons and my sisters in my aprons. 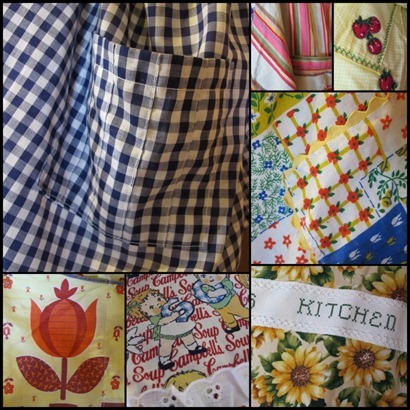 From vintage to modern, each apron is a story and a fashion statement. Now I can’t wait to hear the stories of your aprons and see pictures of the pretty prints! Not only do we want to hear your stories—we want to give everyone a chance to start or add to their own apron collection! One apron-wearin’ blogger or apron-lovin’ reader will win this beautiful, vintage-inspired apron (pictured at left) from the Posey Lane Etsy Shop. 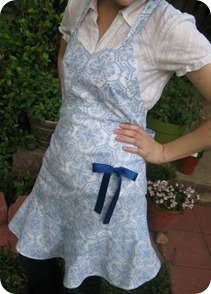 Congratulations to Grace Anna for winning the lovely vintage-inspired apron from Posey Lane! 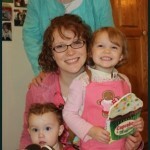 Be sure to read Grace’s apron story over at her blog, Graceful Notes. “My mom made my twins sis and me reversible matching aprons when we were only 2. Over the years, they were worn out, covered with paint, messes, flour…you name it! I still remember they were pink and blue and oh so adorable! They are packed away somewhere in our memory boxes…waiting for the day when perhaps we will be blessed with our own daughters. Today, I still wear aprons — mostly for how practical they are but they also make me feel more ‘homemakerish’ and feminine!” -Samantha R.
“I think my favorite apron memories involve my older brother, who is an avid cook and also fisherman. 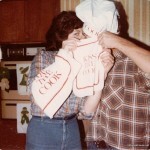 My mom did have a large apron for him with t-bone steaks on it. But then I found an apron I just had to have for my brother. 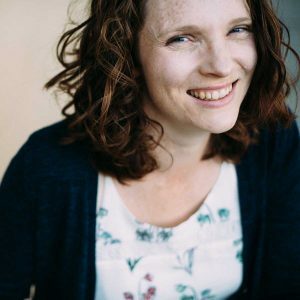 It showed a picture of a rainbow trout frying in a pan, and the caption said, ‘The end of the rainbow.’ That was one gift my brother really liked.” -Natalie G.
“I like aprons because my husband REALLY likes them.” -Melissa B.
Click here to read all the apron posts. I liked Posey Lane on FB. I like Little Pink House on FB. I love how cute and feminine aprons can be…along with keeping food from getting all over your clothes while cooking (especially when pregnant). and i favorited Posey Lane on Etsy!! Such cute stuff! I mainly have Christmasy aprons that I do like to wear during the holiday season. I remember an apron my aunt gave me when I was young and it had a hand towel sewn onto the front of it, very handy for messy or wet hands! I may have to dig that apron out, where ever it is…You have inspired me to get into the habit of wearing aprons! I love how aprons make you feel freer to get into the cooking and not worry about ruining your clothes. There are some really cute ones coming out these days. When I wear one, I feel all official, like a serious homemaker. 🙂 But I’m not. I’ve probably tweeted and FB’d about this. 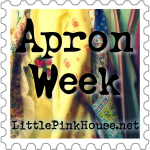 And finally posted something on aprons! I think my favorite apron memories involve my older brother, who is an avid cook and also fisherman. My mom did have a large apron for him with t-bone steaks on it. But then I found an apron I just had to have for my brother. It showed a picture of a rainbow trout frying in a pan, and the caption said, “The end of the rainbow.” That was one gift my brother really liked. I like LPH on FB. I also favorited Posey Lane on Etsy. And I liked Posey Lane on FB. I liked LPH on FB. 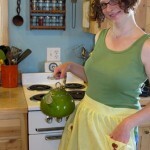 I love the old fashioned aspect of aprons, as well as the practicality! I adore aprons! Practically speaking, they keep your good clothes in good condition! But they just make me feel delightfully old-fashioned and ladylike when I wear them 🙂 – I loved all the fabulous quotes! Don’t they now? My grammy used to wear one all the time, bless her heart. “liked” Little pink house on FB! Actually, I hadn’t realized there was a FB page, so it was a nice surprise! 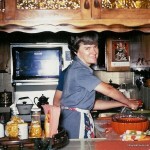 I have always loved wearing my mother’s apron. Frilly, feminine aprons make kitchen work so much more fun and make me feel fulfilled, somehow. Unfortunately, the only apron I have right now is a heavy black one that weighs so much around my neck I generally don’t wear it. I would love to have a pretty little that makes my work happiness! I like Little Pink House on Facebook. I like Posey Lane on Facebook. I have long been drooling over the pretty aprons that I have seen on Etsy and other websites, but just haven’t bought myself one yet! And I really should, because they are not only darling, but very practical. I can’t tell you how many shirts I have nearly ruined with oil stains and bacon grease. I’ve always loved aprons because not only are they practical, but they can also be very feminine! I hearted Posey Lane on Etsy! My Mom made us reversible matching aprons (my twins sis and I) when we were only 2. Over the years, they were worn out, covered with paint, messes, flour.. you name it! I still remember they were pink and blue and oh so adorable! They are packed away somewhere in our memory boxes… waiting for the day when perhaps we will be blessed with our own daughters. Today, I still wear aprons- mostly for how practical they are but they also make me feel more “homemakerish” and feminine! Thanks for all of the inspiration! I think wearing an apron is going to help me keep myself way cleaner!!! 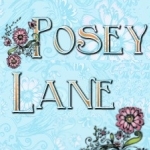 Liked Posey Lane on Facebook! Liked Little Pink House on Facebook! My favorite time to wear an apron is when I’m baking–it makes me feel delightfully old-fashioned. Unfortunately, I only have one. I hope I win that blue one; it’s beautiful! I love aprons, especially pretty ones, because they represent so much: home, love, good meals, a mother’s love, family…A pretty apron makes cooking that much more enjoyable!